We're very proud of the products and service we offer at The Solar Centre. Here's a selection of the feedback we've received. "Solar energy is clean, green and impressively versatile, if this product packed store is anything to go by. Along with practical items such as solar chargers, panels and garden lights, the site sells an array of nifty gadgets including an insect killer, a milk 'frother' and a variety of fun toys. Browsing The Solar Centre is a doddle, thanks to its fresh spacious design, detailed product information and useful features such as a best-sellers chart and a recently viewed list. UK delivery is free and there are savings of up to 50% on sale items. All we need now is a bit of sun - hopefully he'll get his hat on soon!" Please contact us if you have any comments about our products or services. "I would like you to know how pleased I am with the outstanding service you have given me. Having ordered 2 solar bay trees, 1 of which didn"t work, you very promptly contacted the company, who sent me out another one immediately! I will be recommending your company to my family and friends. It is a pleasure to buy items from a company with excellent customer service and who know the meaning of efficiency. 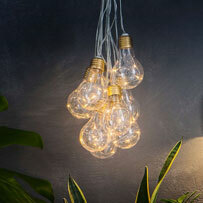 I look forward to browsing your website again for many more gorgeous lights to brighten up my garden!! "Yes, I received the relevant parts & my lights are now fully functioning. So thank you for your great customer service, I am very happy with my purchase! Just to let you know the lights arrived today, exceptional service and communication, thank you so much. Epsom and Ewell Borough Council"
I really enjoy seeing the shapes and colours of my garden at night because of your spots and fairy lights and all with free electricity! Yes thank you. I have a pal staying with me at the moment, who is admiring them. More fans of your products! I have told her how efficient and courteous you are, and then I get an email checking all is okay. Thats proof. Thank you so much for replacements. They are working well. "Just to say how pleased I have been with the service of your Company. I have had no problems whatsoever with telephone calls, delivery and product satisfaction. Nice to deal with a professional company .. and guess what I will keep coming back." Many thanks for this, and for the superb customer service that I have receive from the Solar Centre. "Just to let you know that the lights have arrived and are being wrapped as a present for my parents. A big thank you and a wonderful Christmas to all at The Solar Centre. It has been a real pleasure dealing with you. Just to say thank you for the set of lights and postage refund. 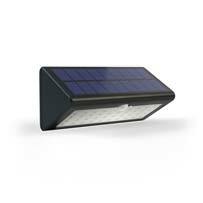 I shall most definitely be recommending the solarcentre to my friends & family when they are in need of solar lights. 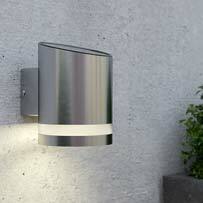 Thank you all so much for your kind attention re the solar security lamp. I am really amazed at the staff and customer care at The Solar Centre, in my opinion your Company should be entered for, and win a gold medal hands down, in a customer care competition. I will certainly be searching your site for other solar products, and recommend The Solar Centre to all my family and friends. "Hi Lucy, thanks for being so prompt, 17 minutes to reply is fantastic customer service. Great job, thank you"
"Yes I have received my order correct and on time. Very good service. Appreciated, Cheers"
"Just wantyed to say how much I love the solar centre.. you are always reallly helpful and your products are brilliant. the fairy lights are the talk of Ibiza! and i am buying more as presents for friends, they are the best thing I have bought in years and well worth the price. Highly recommended." "Hi the solar centre Ltd. I would like to thank you very much for my order I received today. 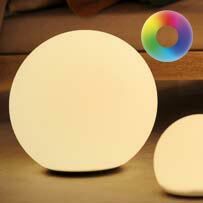 The lights are good and great value and the delivery time was fantastic. I shall certainly be using you again and recommending you to my friends and family. Once again many thanks. Regards." "Very many thanks indeed for your very good customer service." "..felt i had to e-mail you and congratulate you on the service you have given me i ordered the light attachments we spoke of yesterday thurs and was amazed when they arrived this morning i will recomend you in the furture many thanks pat"
"Hi, Just as short note to thank you for the fast delivery of my order below. I ordered late in the day, and the lights arrived at lunchtime the next day! Good quality, and well packed for transit. Keep up the good work.Regards"
"Thank you very much for your outstanding service and customer relations." "Thank you very much. I have always found your company very efficient easy to deal with. Much appreciated. 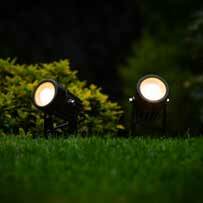 Dawn"
"The light I purchased is excellent,I have it in a small porch and it is very bright.I will be getting more at some stage to fit in my garage and also my shed.I can highly recommend the solar light to anyone needing a bright light that runs on sunlight.Great product and excellent service. faulty item was dealt with very quickly and without fuss.Communications by company are 1st class. Many Thanks Mark H. "
"Once again excellent service and VERY prompt delivery. Very pleased with the lights as well. Thank you so much. I would just like to thank you for the fantastic service you provide. I have just received my Solar light which I only ordered from you yesterday. ( I already have one of these particular lights so it was important to find another one as I know how good they are). It is refreshing to know that there are some UK companies who pride themselves on providing a very professional and efficient service. You should be very proud of the service you provide, I certainly am. I will certainly order from yourselves again and have already passed your company details onto my colleagues. "Hello, Lucy ,just to say thankyou so much 1st class service. Kind Regards S. Lane"
"Hi, the replacement fairy lights arrived this morning. Thank you both very much for your excellent service. Kind regards, Lorraine"
"The lights were brilliant and we had a group of young children just standing at the tent a gasp at the fairy lights. They are now in my garden and look gorgeous! "Hi Brian, Just a quick email to say the two items turned up today, thanks for a great service. I will certainly be in touch for other orders. "Luke thank you for your reply! That's what I call customer service and I'm not even a customer!!! Many thanks and best wishes. "Just a line to thank you for an excellent service. The parcel arrived this morning and the light is charging (or trying to!) as I speak – weather not brilliant but it is obviously taking something in. "I received my Order in perfect condition.Thank you for a good Service.I will certainly recommend you. "Thank you so much for your help, have received the order confirmation email as well as yours. Wish that everything I ordered was as easy as placing the order with you, your customer service is outstanding." The item ordered arrived this morning. Exceptional service and product. Thank you for dealing with it so promptly." "A story, a few years ago I found some delightful solar star lights with Charlie Dimmocks' name on them. Usually anything with a trace of 'famous name' attached is a no no, not this time. There have been so many compliments on the lights I wanted more, unfortunately as my purchase was from Woolworths ! But then I found you, run my life via the internet and can truthfully say my experience with yourselves has been one of the most successful. I give you gold stars for everything from ease of use in site to receipt very quickly of my beautiful stars. Thank you so very much." "A rare blend of great customer service, great products and knowledgeable advice. I can’t praise this company highly enough." "The best service I have received from any company in any sector, in many, many years"
Just wanted to drop you a line to say thanks for a great service - the fairy lights I bought through you are fabulous and we're already planning on buying a couple more sets for the garden. The service you provided was excellent and I will certainly be recommending you to our friends and family! Thank you again and I hope you all have a great day. "Hi just a quick mail to say how very impressed we have been with yourselves - very prompt and friendly service. I must also say this is the first time I have written and thanked a company, but you certainly deserve it. I shall certainly be recommending you. All the best, Michelle, Paul and Cam." This is a Thank you letter. As Companies usually receive email complaints I like to be different. Thank you for your great service. Received another email saying goods have been dispatched. I received goods on 23/02/09 All in Perfect Condition and packed well. I am very Impressed with the Products I ordered and with the Ace Service from your company. Its great to see companies still can give customers a good service. "Amazingly quick service. Well done, the package arrived at work before I did!! Can you please take over running the central line? "Dear Solar Centre, I would just like to thank you for such excellent service, my order has arrived this morning. Thank you very much, merry christmas"
"Hi, Just wanted to say many thanks for such an efficient service. I never expected when I placed the order on Tuesday with the free 4-7 day delivery that I would receive it the next day. What a fantastic clock. I hope my son loves it when he gets it at Christmas as I do now!! Many thanks"
"Wow!! We love them. My husband put the panel right at the top of the lilac tree pointing up and south. I came down at 5am and there they were still twinkling brightly. Was a bit anxious the planes would think it was a new third runway at Gatwick. Think I will get some more. Good Christmas presents!" BRILLIANT !! (Service - and light too!!)" I placed an order with you on Sunday 20th July and received it complete today. I would like to thank you for your very prompt service. 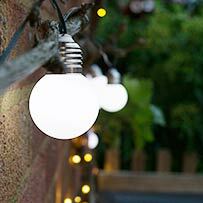 I am looking forward to seeing my Solar fairy lights working later this evening. The Garden Rock Lights are a gift for some friends. I would not hesitate to buy from you again in the future and I would certainly recommend you. "....I would also like to take this opportunity to thank The Solar Centre, & you in particular, for your excellent customer service & care. I would happily refer friends etc. 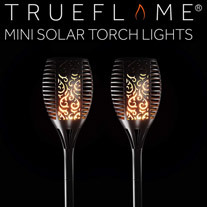 to you should they have a need for solar powered items." "I'm extremely pleased with the garden fairy lights I bought from The Solar Centre and also with how helpful and efficient the service is." "Be delighted! Your comms have been first class, I love the product and your customer service is second to none. I have no hesitation in recommending you and will order again without doubt." "My order arrived safely this morning - thanks they are great. Your service and attention to detail was impeccable. I am sure I will be ordering from you again." "I would just like to say that your service is fantastic. Your orders are received and dealt with so quickly and efficiently. Thank you very much, I have recommended you to many." "Thank you for such quick and efficient service, they arrived today! Will definitely be using your site again. Very impressed." "I really appreciated the help your company gave me on the phone, excellent product and excellent customer service. Look forward to doing more business soon." "I have received the pump a couple of days ago and it works well. I am looking forward to put up my waterfall in a few days time. Thanks for your excellent service. I look forward to buy more products from your company in the future." first may I thank you for your excellent advice with respect to extensions for my solar pond air pump. We are now in possession of our second Solar Spotlight, thank you, we are very happy with these spotlights which give off a kind of moonlight effect while set on low on one path along one gable end of our house. 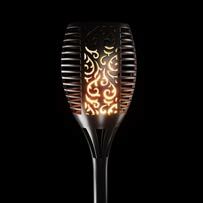 We were able to site it very easily because we're not tied to where it has to go compared with electrical power lights. We live in the middle of nowhere with no street lights, so these are ideal for our situation for moving around outside after dark. The best part about them has to be their ability to be sited anywhere without cables as in our case we have walls approx. three feet thick. We will continue to watch your website for new solar gadgets etc, and certainly spread the good word about your excellent service and lightning delivery. Thank you so much Solarcentre for your excellent service." 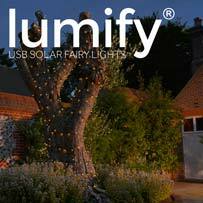 "Just a quick note to say thank you very much for the blue fairy LED solar lights that you have supplied me for my newly refurbed garden, they are absolutely fantastic. I cannot believe how bright the lights twinkle and how long they stay illuminated for, quite often still going when I get up in the morning! They make my tree and archway look stunning in fact so good that I think I may be back to buy another set to decorate some more garden features! Thank you also for your excellent fast delivery service." "Just a quick note to say thank you for such a fast delivery. I ordered online at Friday lunchtime and the parcel arrived the following morning, even though I had opted for free delivery. I was very impressed. I'll definitely be checking your website for future products." "I have receive the order monday! All the produtcs are here and are fine! The order came really quickly, I has not especting it on monday moorning. thanks! 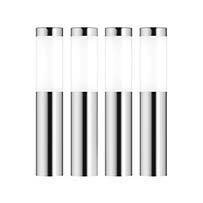 I am very pleased with the solio chargers!" "Hi, Order recd - thank you for your effecient service!" "I can confirm that it has now arrived - thanks for sorting this out so quickly." "Thankyou for the correspondance and it was a pleasure doing buisness with yourself"
"Thanks for you help and speedy service." "Nice item, kept informed, quick delivery, very good"
"Great product, fast delivery, well packaged"
"Excellent product, excellent service - thanks!"